This solution is perfect for the customer that wants to replicate the color they get after a gradual UV based tan and wants to look as natural as possible. This blend provides a healthy looking golden color that also moisturizes as it tans, so it not only makes you look good it makes your skin feel good as well. Due to the fact that this solution does not use any alcohol based products and is totally organic, it is great for tanners with dry or aged skin and contains SPF 15 with high antioxidants, so it acts as a natural protectant. 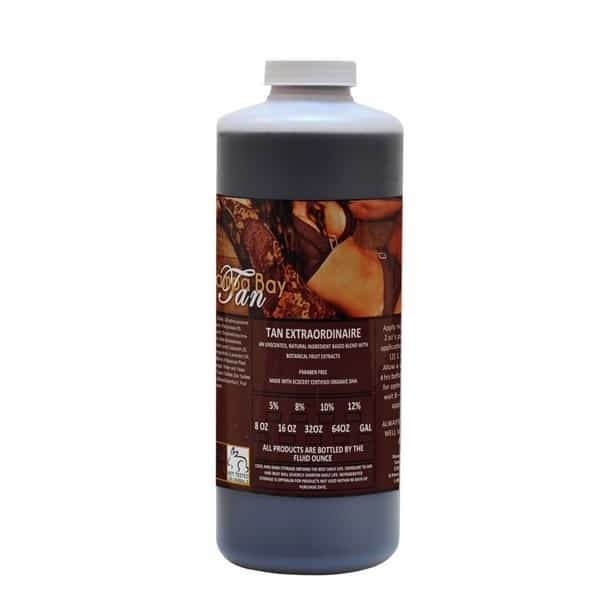 Look great and feel great with this ever-popular airbrush solution from Tampa Bay Tan.